For years now, Roulette has been one of the most played online casino game, attracting players from different walks, races, and class of life. Others might want to argue that it’s played by a common man, while others might want to argue that only the rich play it, given that most of the high rollers prefer playing it. Regardless, one fact remains – it is one of the most sought after casino game, both at the land-based and online casino website. Despite its popularity, it has occurred to me that not all players know why it’s important to choose certain types of roulette over others. Since there are different types of variants with different names, players might assume that the difference perhaps arises because of the names, yet there’s more to the game than the names. In this brief guide, we look at the main differences between the different types of the game, and which one you should always strive to choose to ensure that you’ve increased your chances of winning. 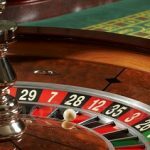 There are more than 20 different types of roulette – with the most popular ones being the Premium European and American, Multi Wheel Roulette, Video and 3D Roulette. Despite the different variants, all these games come down to two main categories – the American and the European. 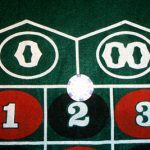 The European Roulette was the first game to be invented, and it resulted from what is referred to as the French Roulette. It, later on, spread to the American continent, where they made modifications to it and formed their new variant, the American Roulette. While these two games have similar gameplay and rules, what brings in the difference between them is the difference in the number of zeroes. The zeroes can be seen as the numbers on the green section of the table. They are the ones that bring out all the differences on the roulette table and the game. While the American variant has Zeros – the usual zero and the double zeroes, the European one has a single zero, which you can easily see on the table. How Does the difference in Zeroes Affect the Game? As already mentioned, the gameplay and rules remain the same in both. This means that the zeros don’t affect these sections of the game. What, however, is affected is the house edge and the odds of the game. The house edge just as you would expect it is the edge that the online casino has over you. It is how much the house is going to get when you play this game on their site. When playing European Roulette, the house edge is usually half when compared to the American one. How is this possible? You see, as a result of the double zero, the American Roulette has an RTP of around 94.74% while its counterpart has an RTP of 97.3%. When you look at these two from a house edge perspective, the first has a house edge of 5.26%, while the later has an edge of 2.7%. Mathematically, it wouldn’t be difficult to see that the edge of American Roulette is twice that of the European one. Does This Affect How You Play the Game? Of course, it does affect your game in so many ways! As already mentioned, the edge of the house refers to the theoretical advantage that it has on you. This means that every time you play the American variant, your chances of winning have been halved as compared to the European variant. This means that you are better off playing the European than the American any day! Due to the difference in the number of zeroes, these games also have a different number of pockets on the wheel. While the European variant has up to 36 slots, the American has 37, which is as a result of the double zero. This extra slot also results in an extra bet. This is a special bet that you can only place when playing the American variant. It’s called a basket bet because it allows you to bet on a group of numbers, 0, 00, 1, 2 and 3. Given all these numbers, this bet has an extremely high house edge that stands at an astonishing 7.89%. However, it’s very rewarding as it pays out at odds of 6:1. Have You Ever Heard of the En-prison Rule? Not so many players might be aware of this type of rule, which allows you to save on your bet and money while playing this amazing game and it helps you reduce the house edge of the game by a significant 1.35%. If you’ve been playing casino games online, you’ll agree that anything that can reduce the advantage of the house even by 0.2%, is guaranteed a good deal. If you use this strategy well on the European variant, then you can be assured of winning more often. Lastly…The Chip Colours Are Totally Different! Since these two have the above differences, online casinos want you to be able to differentiate between them easily. This is why they have different chip colours for different games. What is the notable difference? In the European version, all the chips are of the same colour, while for the American variant, chips come in different colours. American vs. European, Which is the Best? It all comes down to your preference. If you want to play and win big with big odds, the American variant is highly recommended. If you, however, want one that has higher chances of winning thanks to the smaller odds, then the European is the best variant. All in all, we highly recommend you choose a site that is reputable and one that is known for offering fair services to its players!